Celox First Aid 8×8 inch Hemostatic Gauze pads, coated with Celox Granules. 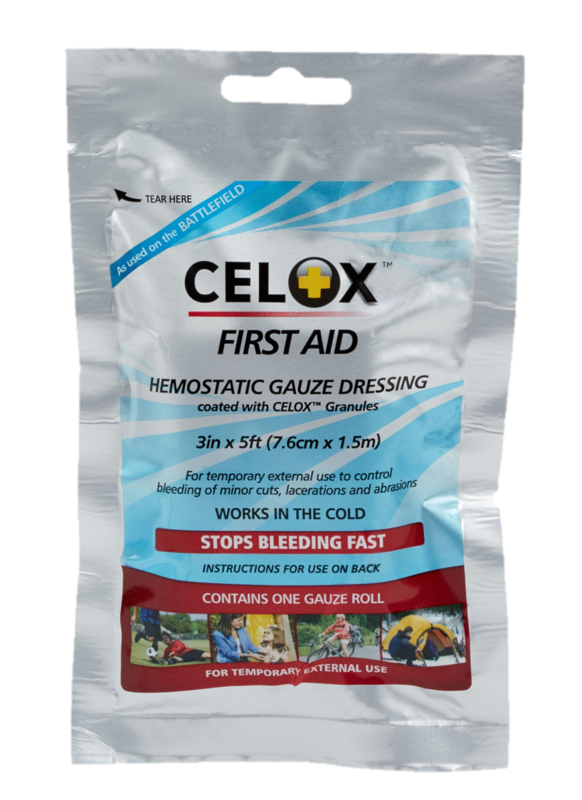 Celox First Aid 5ft x 3in Hemostatic Gauze Roll coated with Celox Granules. 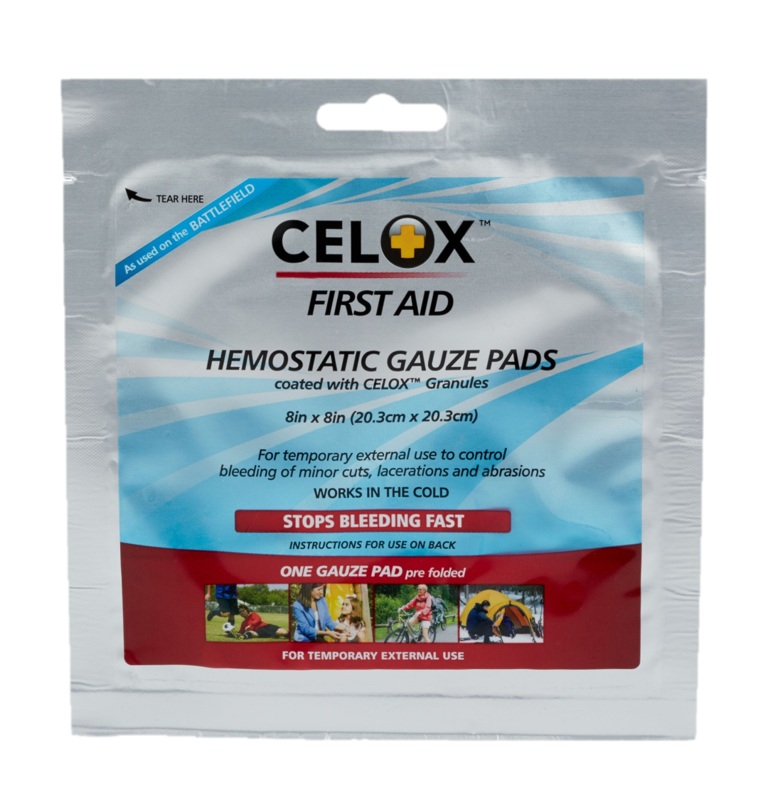 Hemostatic Gauze Roll and Pads – tear it open, apply to the source of bleeding, cover and apply pressure. It’s that simple! 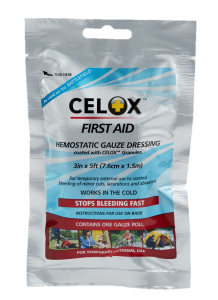 Excess Celox™ Granules easily wash away. 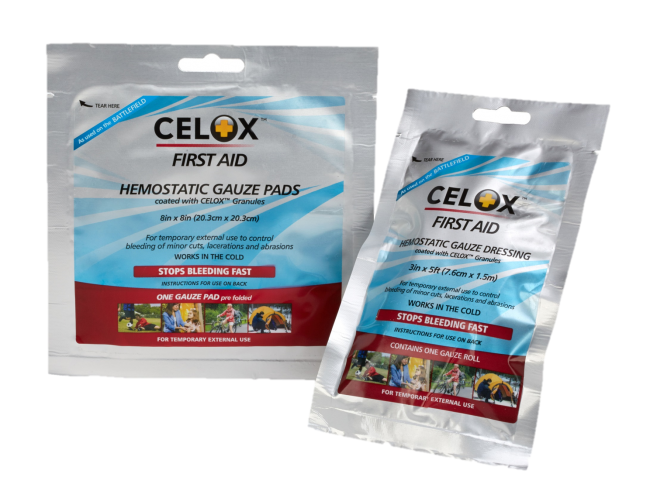 Celox™ Granules are bio-compatible any remaining residual granules are safely, naturally absorbed by the body37.